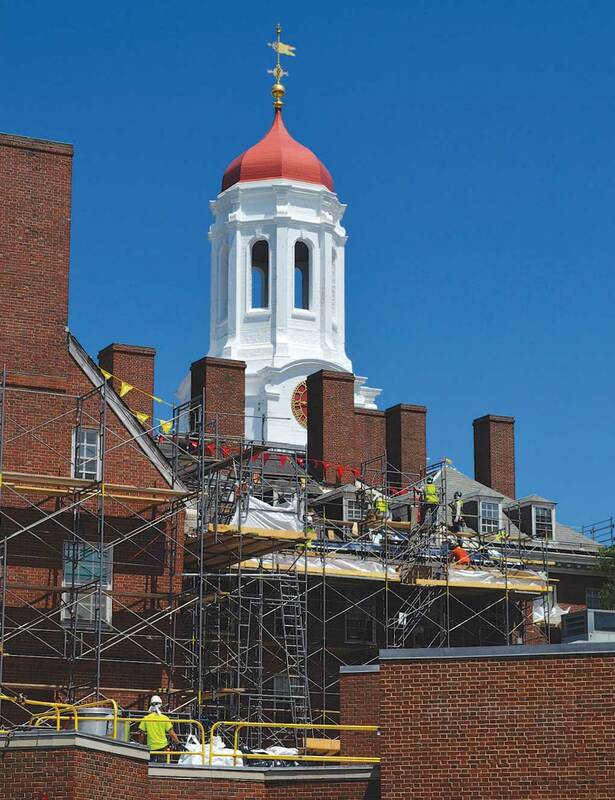 Having practiced the art and craft of House renewal on parts of Quincy and Leverett houses, the College is now renovating an entire undergraduate residence. As soon as students decamped, the scaffolding went up, construction workers began stripping the roof and removing obsolete interior fixtures, and the courtyard was converted into a staging area for heavy equipment and building materials: the grass gave way to gravel and the iron gate facing the Charles River was removed for safekeeping (with the supporting towers protectively boxed). 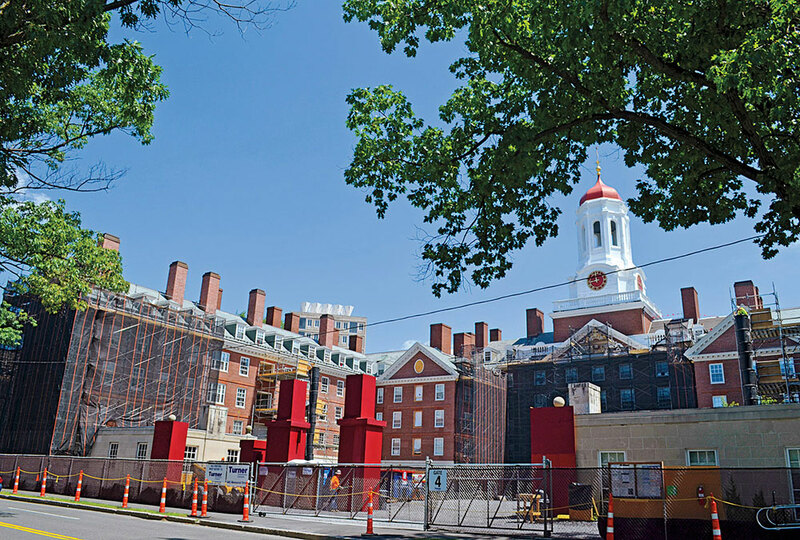 After a year-long diaspora—in part in the repurposed Inn at Harvard, which will have a swing-space dining hall—students should move back into their remade quarters in time for classes in September 2015.